It is common knowledge that Charles Darwin spent nearly five years as a young man on H.M.S. Beagle. At that time the Beagle was a Naval survey ship and the crew's primary task was to take measurements and soundings in all the oceans of the world to provide accurate navel charts. 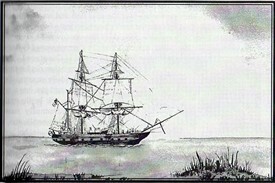 Darwin joined the ship to collect samples of all the living things he could find in the five continents from which to research his famous work on evolution. What is not so well known is that some years later, in 1845 after several further naval voyages, the Beagle became a watch ship for the Coast Guard. By that time the vessel had seen 25 years of service and was becoming out of date. There were at least three other watch vessels moored in the rivers Crouch and Roach. As well as all the legitimate trade passing to and fro by water, it was well known that smuggling was rife on the creeks of this part of Essex. 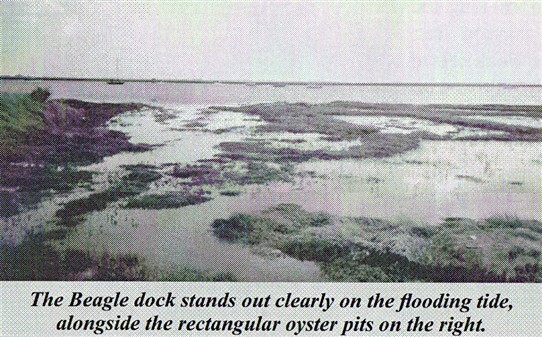 In 1850 the Beagle was moved from the mouth of the river and moored off Paglesham. By this time the oyster trade was becoming very lucrative and it may be that the oystermen needed added protection against theft and smuggling. A few years later the former Royal Navy names of all watch vessels were removed and H.M.S. Beagle became simply Watch Vessel No.7 and continued to guard the comings and goings of trade on the Roach. Watch vessels were manned by at least two officers. Their families, too, lived aboard, as shown in 19th century census records. By 1863, when she was probably in a poor state of repair anyway, local businessmen petitioned the authorities to move her from the middle of the river on the grounds she was becoming a hazard to other shipping. Watch Vessel No.7 was laid ashore and and in 1870 sold to Messrs Murray and Trainer to be broken up. After this the trail went cold with only occasional references in bills of sale for ballast and timber some of which probably came from the old H.M.S. Beagle. Until 2002, when a team of highly qualified scientists and historians decided to further their reseach into the final resting place of Darwin's ship in the area of her last known whereabouts. 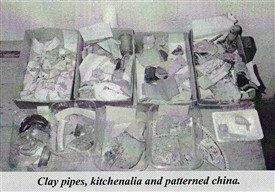 Building on the extensive local knowledge of Ann Boulter and Rodney Choppin and with significant help from them, a detailed scientific search was begun which lasted, on and off, for six years. Ann had found quantities of Victorian pottery shards and other discarded everyday items from the period when Watch Vessel No 7 was docked on the saltings and later sold. Many if these finds were made at a particular place near some abandoned oyster beds where the old vessel had continued to guard the Roach trade until the 1860s. The team decided to start their investigations there. Bibliography: Watch Vessel No 7 – H.M.S. Beagle at Paglesham, by Ann Boulter (2008). Text and illustrations by kind permission of the author. And: Shed of Stilts, by Nathan Bell, on this website. This page was added by Sue Horncastle on 21/08/2012. Henry Drake the younger was my great grandfather. He went on to serve in the navy on the royal yacht for Victoria, and HMS Victory. 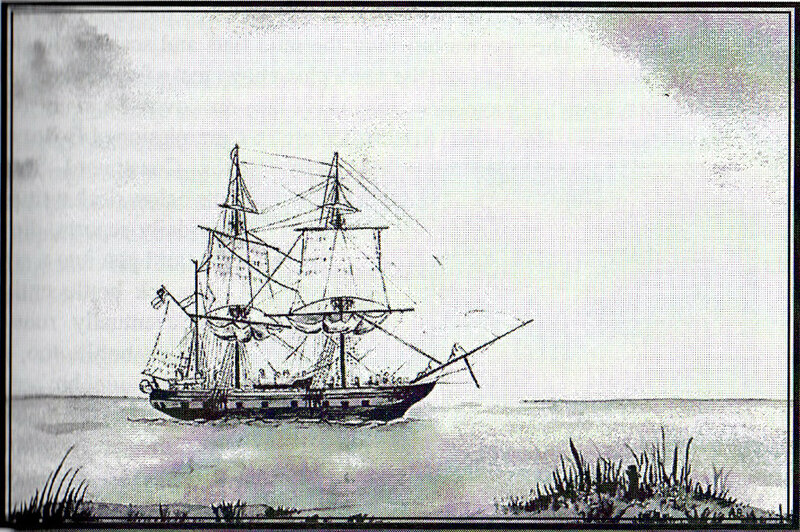 This story started with a phone call asking me what I knew of HMS Beagle in Paglesham. 'She is in the 1851 & 1861 censuses - end of my knowledge. Why do you want to know?' 'I am putting a lander on Mars, and calling it Beagle 2' Just the answer one doesn't expect! Since then we have found out far more with Ann Boulter writing about it. One detail found in the 1851 census - there were children on board, one, Henry Drake was born in Paglesham, aged 4 years, indicating that Beagle had been there at least that long. Since 1845 in fact.